When you think of the word "dyslexia" reading problems immediately come to mind but many students with dyslexia struggle with writing as well. Dysgraphia, or written expression disorder, impacts handwriting, the spacing of letters and sentences, omitting letters in words, the lack of punctuation and grammar when writing and difficulty organizing thoughts on paper. The following resources should help you better understand dysgraphia and work with students to improve writing skills. How Dyslexia Impacts Writing Skills Students with dyslexia show a significant difference between what they can tell you orally and what they are able to convey on paper. They may have trouble with spelling, grammar, punctuation, and sequencing. Some may have dysgraphia as well as dyslexia. Knowing how this learning disability affects writing can help you develop specific strategies for working to improve writing skills. Dyslexia and Dysgraphia These are both neurological based learning disabilities but both have specific symptoms. Learn the symptoms, the three types of dysgraphia, treatment and some accommodations you can make in the classroom to help improve writing and learning in students with written expression disorder, for example, experimenting with different style pens can help you find what is most comfortable for your student and can improve legibility. Teaching Writing Skills to Students with Dyslexia Written assignments completed by students with dyslexia are often filled with spelling and grammar errors and the handwriting is sometimes illegible, causing a teacher to think the student is lazy or unmotivated. A plan of action provides a step by step approach for organizing thoughts and information to help make the writing process easier. 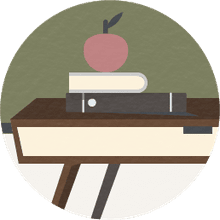 20 Tips for Teachers to Help Students with Dyslexia Improve Writing Skills – Arm you with specific strategies to incorporate into your daily teaching that will help you work with students with dyslexia and dysgraphia improve their writing skills. One suggestion is to put away the red pen when grading papers and use a more neutral color to avoid the student becoming discouraged when seeing all the red marks when you return an assignment. Helping Students with Dyslexia Build Sequencing Skills From the time we are very young, we learn to complete tasks in a specific way, such as tying shoes or using long division. If we do the task out of order, the end result is often wrong or doesn't make any sense. Sequencing skills are used in writing as well, making our written information make sense to the reader. This is often an area of weakness for children with dyslexia. This lesson plan, for children from Kindergarten through Third Grade, helps to reinforce sequencing skills, putting four steps of an event in order. Sequencing for High School Students with DyslexiaStudents with dyslexia can frequently see the "big picture" but have trouble understanding the steps it takes to get there. This lesson helps high school students take parts of a story and put them in the correct order. An alternate lesson includes having students take a flashback story and rewrite it in chronological order. Journal Writing - This lesson helps students in middle school practice writing skills by keeping a daily journal. Writing prompts are given each morning or as a homework assignment and students write a few paragraphs. Varying the writing prompts helps students practice different types of writing, for example, one prompt might require descriptive writing and one might require persuasive writing. Once a week or every other week, students choose a journal entry to edit and revise. Creating a Classroom Book - This lesson can be used from 1st Grade through 8th Grade and gives you the opportunity to teach social lessons as well as writing lessons. Our example helps students learn about and become more tolerant of each person's differences. As you complete classroom books, put them in your classroom library for students to read again and again. Informative Writing to Help Students with Dyslexia and Dysgraphia by Writing Newspaper Articles - For students in 3rd thru 5th grade but this lesson plan could easily be adapted for middle school and high school students. This project not only works on informative writing skills but fosters cooperation and teaches students to work together to create a classroom newspaper. Creating an Outline Writing Prompt Teachers often give students writing prompts to help generate writing ideas, however, students with dyslexia may need additional assistance in organizing information. In this Step-by-Step guide, we go through the process of helping a student create an outline writing prompt to assist in organizing information. How Can I Help My LD Child Get Organized?